With our daughter home for a few days last week, we decided to take advantage of the great weather to do some hiking. 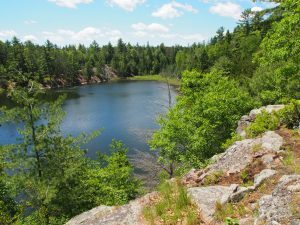 Sophie has always had a special fondness for the Canadian Shield, so Petroglyph Provincial Park was the perfect destination. We also wanted to reacquaint ourselves with the special beauty of the area. Located on the north shore of Stony Lake, Petroglyphs Provincial Park is home to Canada’s largest known concentration of First Nation rock carvings. More than 900 figures, including turtles, snakes, birds and people, were carved into exposed marble, as far back as 1100 years ago. After purchasing our day pass at the visitor centre, we decided to walk the 5.5 kilometre Nanabush Trail, which starts near the main parking lot. 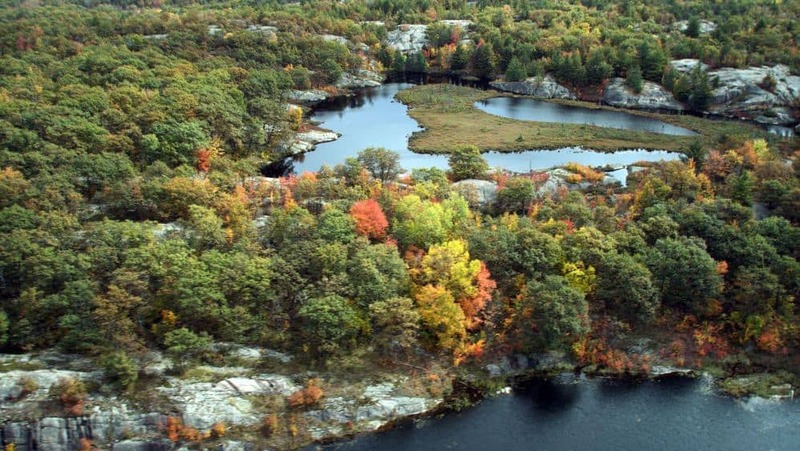 The trail crosses a variety of habitats from wetlands and mixed forests to granite outcrops. The sunny weather, light breeze and near-total absence of biting insects made for especially pleasant walking. As we traversed the open, meadow-like area at the trailhead, we were entertained by large numbers of chalk-fronted skimmers, a black-and-white dragonfly, which often emerges in large numbers in late spring. Big yellow, white and black Canada tiger swallowtail butterflies flitted among the dogwoods, cherries, New Jersey tea and balsam ragwort. Along with species like Canada plum and woodland sunflower, these latter two plants make the Park an especially interesting destination for anyone interested in botany. Passing through mixed forest of mostly pine, spruce, maple, and basswood, our attention was immediately drawn to the many wildflowers in bloom. 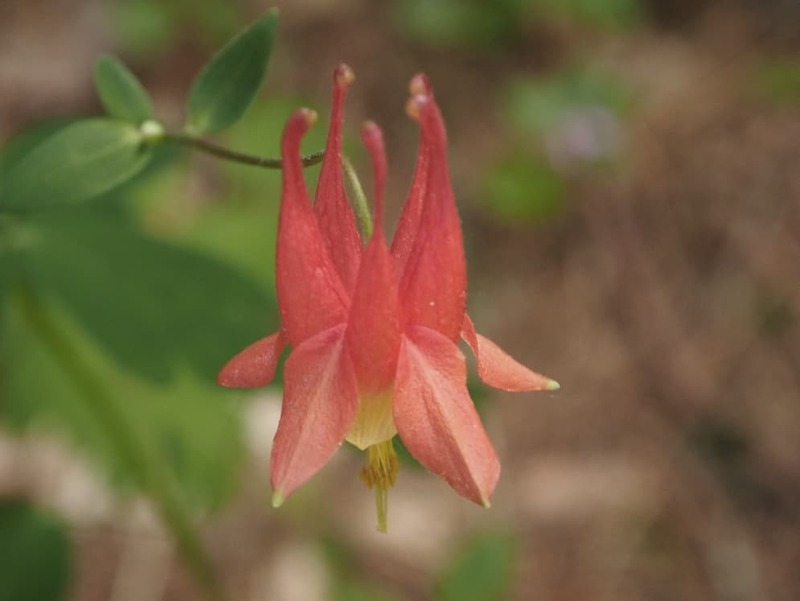 Just like hardwood forests come alive with trilliums and trout lilies in May, coniferous and mixed forests offer up their own wildflower display in June. The stars of the show are the red blossoms of wild columbine; the pink, bird-like flowers of fringed polygala (gaywings); and the white flowers of species like Canada mayflower, starflower and wild sarsaparilla. Sarsaparilla is especially abundant on the Nanabush Trail. It has three compound leaves, each with five leaflets. Ball-like clusters of greenish-white flowers grow on leafless stems, which are sometimes hidden by the leaves. The roots of sarsaparilla were once used to make root beer. Leaving the forest, the trail enters a large wetland with great views of the marsh from the boardwalk. Typical marsh birds like common yellowthroat warblers, alder flycatchers and red-winged blackbirds sang repeatedly, often competing with the banjo-like “boing” calls of green frogs. At one point, we were startled by the splash of a large beaver, only metres away. For anyone interested in wetland plants like speckled alder, nannyberry, sedges and a wide variety of ferns, the boardwalk provides wonderful close-up views. Re-entering the woods on the west side of the marsh, I stopped to watch a mourning warbler that was pouring its heart out in song. At my feet, I noticed several large patches of bunchberry, which is a species of dogwood and a signature plant of the Canadian Shield. Some bunchberries have four leaves while others have six, even in the same patch. Strangely enough, only those plants with six leaves produce flowers, which form a greenish cluster in the centre of four white bracts. As we walked further into the forest, a number of different warblers advertized their presence. The most common was the ovenbird. Its loud “teaCHER, teaCHER” rang out at regular intervals along the path. Another sound that caught our attention was the slow, irregular drumming of the yellow-bellied sapsucker. The pattern has a stuttering quality and often sounds like Morse code. The sapsucker is well known for the parallel rows of tiny shallow holes that it makes in tree bark. The birds lap up the sap that leaks from the holes, using the fibrous, brush-like projections on their tongue. At the same time, they will also grab small insects that may have been attracted to the sap wells. It is not uncommon to see hummingbirds and butterflies partaking of the sap, as well. A little further down the trail, my wife motioned me to stop. A ruffed grouse was standing statue-like right in front of us, its head feathers erect. We could hear a faint, peeping sound coming from the surrounding vegetation, which meant that young were present. With careful searching, we were finally able to catch glimpses of the sand-coloured, ping-pong ball-sized chicks. The chicks can walk and feed themselves within 24 hours of hatching. Before long, the trail opens onto a granite ridge with scattered white pines, red oaks and blueberries. Sun-warmed pine needles scented the air as we enjoyed the view of the small lake below. This is a great spot to stop for a picnic lunch. I kept an eye out for any five-lined skinks that might be sunning themselves on the rocks. The glossy black juveniles are especially beautiful with their bright blue tails and five cream-coloured stripes down the back. The skink is Ontario’s only native lizard and is common in the Park. I was told that they are often seen around the glass-walled building at the Petroglyph site itself. At the end of the lake, the trail climbs steeply and enters a deeply shaded stand of eastern hemlock and white cedar. The two warblers most closely associated with hemlocks – the blackburnian and black-throated green – sang repeatedly from the crowns of the trees. As in many areas along the Nanabush Trail, barren strawberries proliferated on the forest floor. They are easy to identify with their yellow flowers and three roundish, toothed leaflets. We also took some time here to scan the dead trees and floating logs in the flooded valley further to the west. 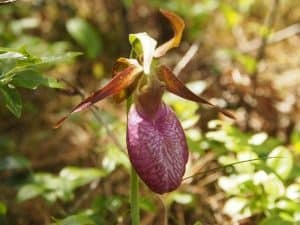 Looping back along the south side of Minnow Lake, we stumbled upon one of my favourite plants – the pink lady’s slipper or moccasin flower. A member of the orchid family, the lower petal of the flower forms an inflated pink pouch with reddish veins. The pouch tells an amazing story of how far evolution will go to assure pollination. On the hunt for nectar and pollen, bumblebees pry their way into the large, slipper-like pouch through an incurved slit down the front. Once inside, however, the slit closes and traps the bee. But, it’s not all bad news. The upper part of the pouch is lined with sticky hairs coated in nectar, and there are translucent areas where light shines through. Attracted by the light and sugar reward, the bee climbs upwards to feed and then make its escape. However, a narrowing at the top of the pouch forces the bee to crawl under a flattened structure where it rubs up against the stigma – the sticky female part of the flower. Unbeknownst to the bee, some of the pollen on its body hairs will adhere to the stigma and pollinate the plant. But one last bit of trickery still remains. As the bee finally exits, it is forced to rub up against the anthers – the male part of the flower – and inadvertently pick up more pollen. When it flies off to another lady’s-slipper, the bee will follow the same path and unwittingly leave pollen behind once again. Arriving at the east end of the lake, we crossed another long boardwalk where more dragonflies and both bluet and jewelwing damselflies abounded. Painted turtles, too, were basking in the warm June sun. We then followed the path back to the trail entrance and headed back up to the Learning Place visitor centre. The Learning Place offers a number of excellent displays on First Nation culture such as ceremonies, the medicine wheel, medicinal plants and beliefs associated with the four cardinal directions. You can also watch the award winning film “The Teaching Rocks”. The Learning Centre prepares the visitor for a more meaningful visit of the nearby Petroglyph site itself. Local First Nation’s people call the site “Kinoomaagewaapkong” which translates to “the rocks that teach”. The Curve Lake First Nation acts as the steward community of the rock carvings, providing Ontario Parks with guidance in this culturally significant and ceremonial place. 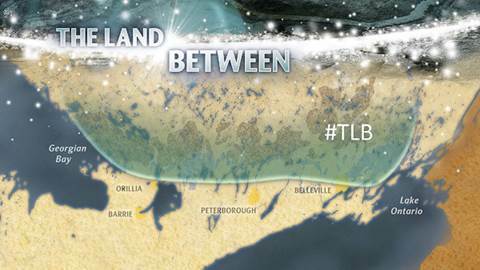 I often meet people from Peterborough who have never been to Petroglyph Provincial Park. If you enjoy nature, hiking and First Nation history and culture, I strongly recommend a visit. 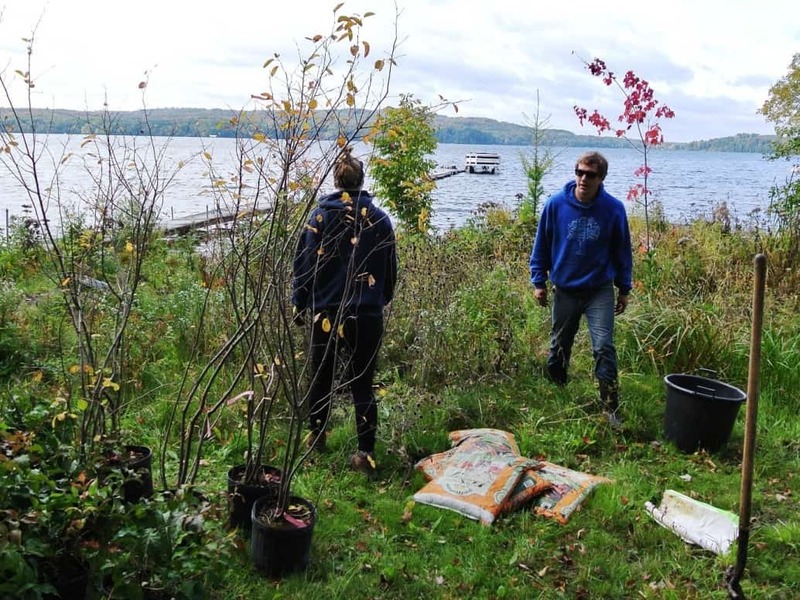 Like most everywhere in the Kawarthas, however, there is poison ivy. Learn to identify the plant and don’t forget to wear shoes, socks and preferably long pants when walking the trails.